I enjoy fantastical middle grade reads a lot. So, it's with a happy heart that I can tell you that The Dreadful Tale of Prosper Redding is most definitely another one to add to my collection. Autumnal vibes and Halloween feels? Check. Magic and mayhem in spades? Check. Humor and heart all rolled up in a tale? Check. I was really impressed by the way Bracken wove the elements together into a story that was compelling, funny and engaging! Plus, she really had me feeling for Prosper and his plight, enjoying Nell and her magical abilities and relishing Alastor's wicked ways and snarky comments - which certainly made the overall experience even more enjoyable. Really, the only reservation I had about this one was that it took me a little longer than I would've liked to get fully invested in the story. But once I settled into it comfortably, it was such a fun book! I'm so glad that Alex wrote this story, and I'm definitely looking forward to the next one for sure. 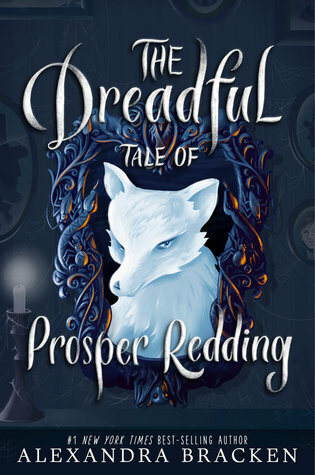 Do check out The Dreadful Tale of Prosper Redding if you're a middle grade fan, or give it to the middle grade reader in your life who enjoys fantastically funny adventures.